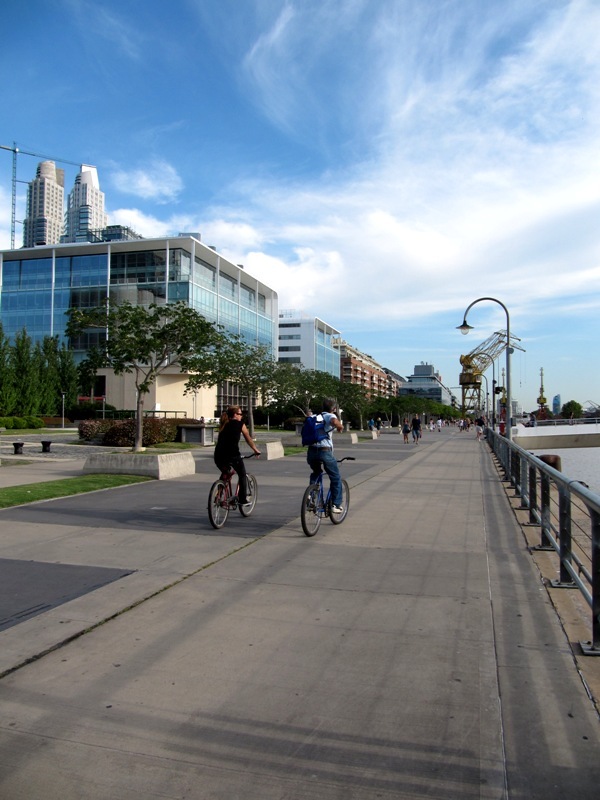 Nathan and I were walking along the broad sidewalk along Avenida Carlos M. Noel in the Puerto Madero neighborhood. This route is lined with numerous carritos (carts) all selling the same thing: grilled meat. 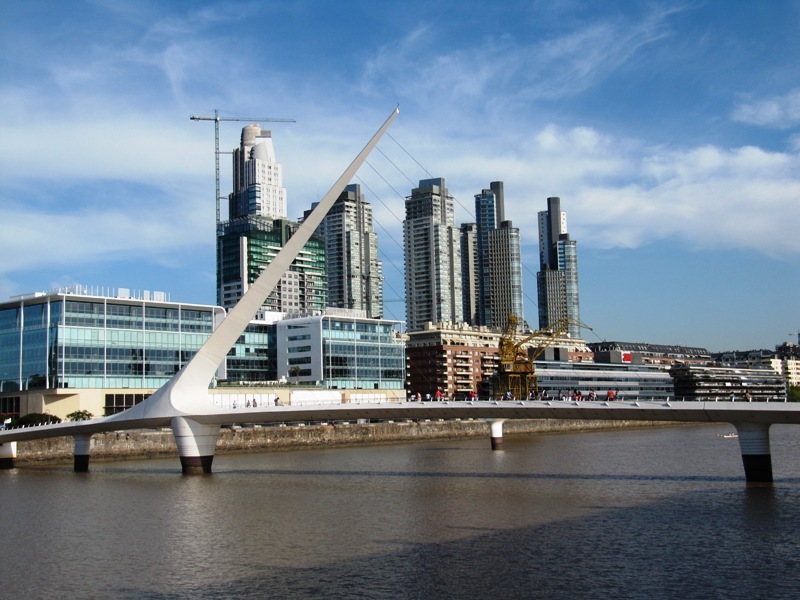 What else could you expect in Argentina?? 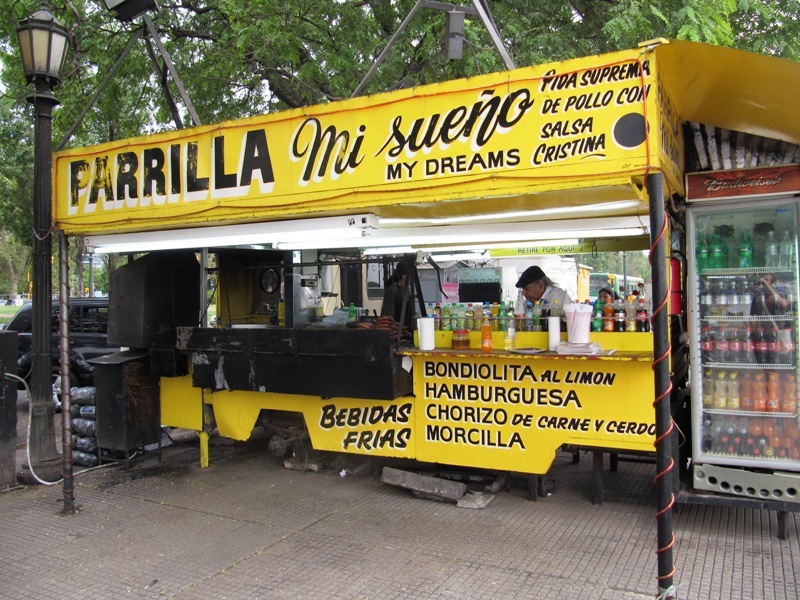 We noticed that one in particular, Parrilla Mi Sueño (My Dream Grill), had the most people. Always a good sign! 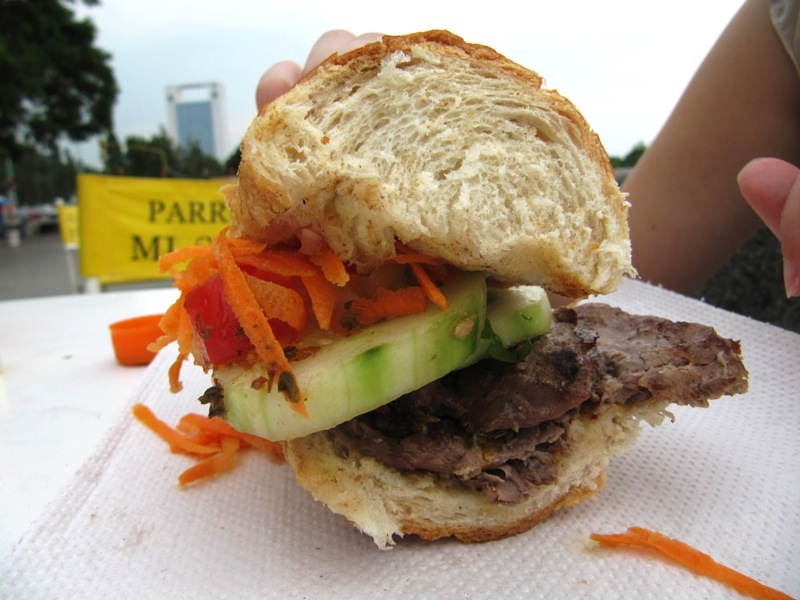 We approached the bright yellow carrito and ordered a lomito (steak tenderloin sandwich) since Argentinian beef is rather legendary. The old man running the cart was awesome. He spoke to us in slow, clear Spanish which was a nice change from the rapid fire speech of most porteños (Buenos Aires residents). Not only that, when he saw us take a picture of his cart he insisted that both Nathan and I take turns going inside his cart and pretending to be grill masters. There was no tip jar or anything; he was just having fun with us. I like that. After our steak was grilled up we loaded it with the array of sauces and veggie toppings set up on a long table on the side of the parrilla. We took our first bite – the roll was nice and crunchy, the thin cut steak was tender, and the toppings brought it all together. Delicious! 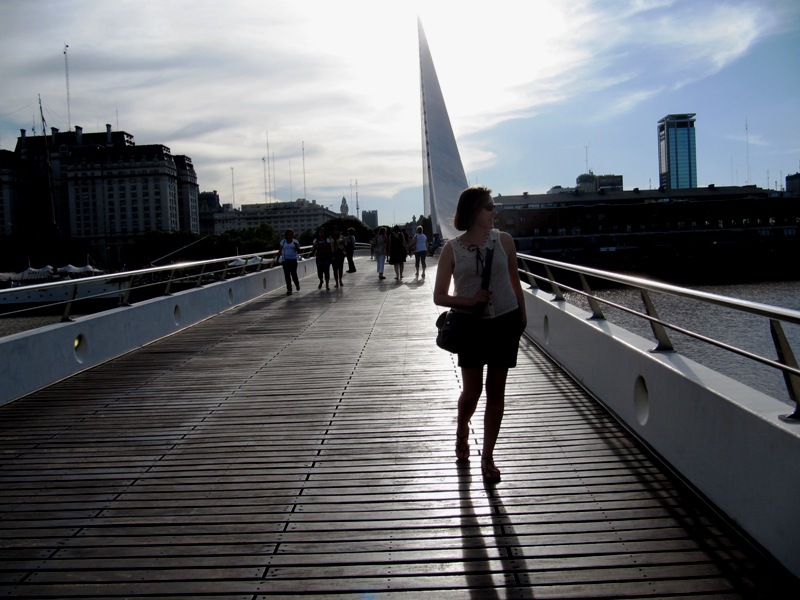 One more cool thing about Puerto Madero – the ecological reserve. 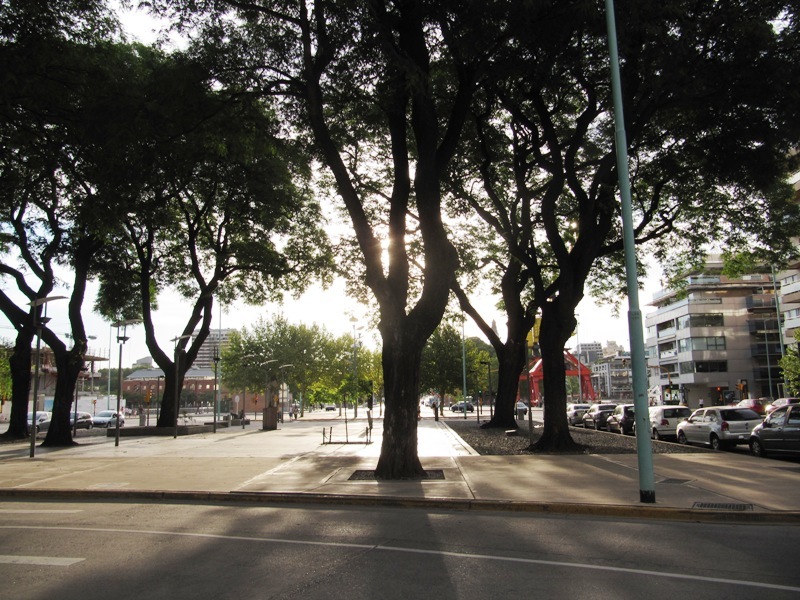 The carritos actually look out onto this land, which separates the neighborhood from Río de la Plata. 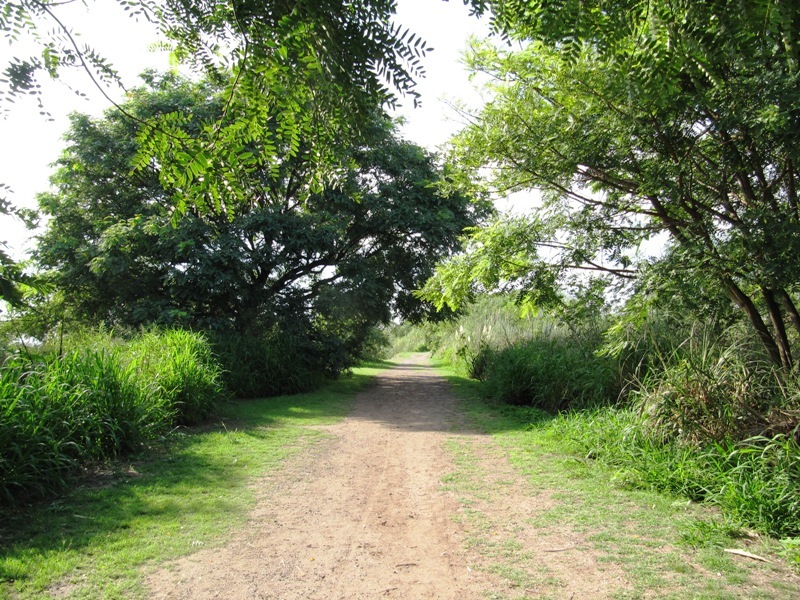 Nathan has gone running here a few times and I even joined him! That’s a feat because I’ve never liked running much. But I have to get ready for our Macchu Pichu trek. Not wanting to get stuck in the middle of the Andes is damn good motivation to get in shape. Stay tuned – Nathan’s going to write about our awesome experience at a fútbol game this past weekend!